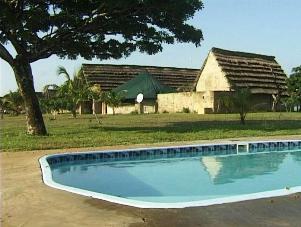 Casa Lisa is a small friendly lodge 48-km north of Maputo. This is an ideal stopover for visitors to the northern beaches of Mozambique or a convenient base for those doing business in or exploring Maputo. 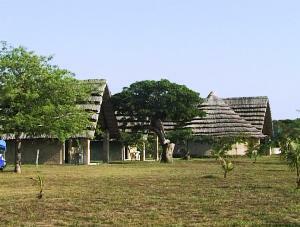 The lodge can also be used as a seminar or conference Centre because of its proximity to Maputo. The lodge offers inexpensive, safe and comfortable accommodation for the weary traveller. A wide range of accommodation is on offer in chalets and cottages sleeping 2 to 11 people, all with private bathroom and hot water showers. The chalets are very neat and tastefully decorated and give a unique homely atmosphere. Camping is also available and each site has its own open-air thatched lapa with braai area and running water. The campsite also boasts neat ablution facilities. Your friendly hosts will ensure that you have a comfortable stay as they compliment their establishment with warm hospitality not to mention the excellent home cooking. After a wonderful meal you can relax with your host and fellow travellers at the well stocked bar discussing travelling tales. A wonderful place to start or end your holiday.